Bill is based in Sidney, Australia, however, he travels all across the globe and works with people from all over the world. Thanks to this website, his clients have 24/7 access to his assistance and customer care. To find out more about his stock trading and financial advisory services you may contact him by filling in the form below. We endeavor to reply to all queries within the same day. Hiring Bill: You can find out about Bill’s services on this website, however, if you require further information or would like some aspects clarified, don’t hesitate to get in touch. Bill connects with people by web call, email or via live chat and is pretty much available around the clock. Trading and Financial Advice: Bill makes his knowledge and expertise available to people beyond his clientele and is glad to answer any financial queries. You can contact Bill, even if you do not require long-term financial advisory or stock trading services. Financial News and Stock Market Updates: You may also contact Bill to get the latest financial news and stock market trends. Those in a position to break financial stories or provide market updates should also get in touch and allow Bill to provide an online platform for their information. 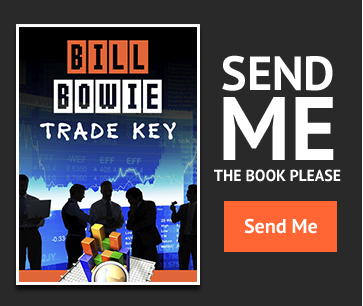 Book Inquiries: A copy of Bill’s ebook “Trade Key” is obtainable by contacting Bill here. You will receive your copy within a short few hours. If you would like to organize a book reading and discussion forum, please let us know. Bill will be glad to oblige. Speaking Engagements and Events: If you would like to invite Bill to speak at a financial or educational event, please get in touch with all the details. On his business travels, Bill continually meets new people and educates them about stock trading and profitable business operation. 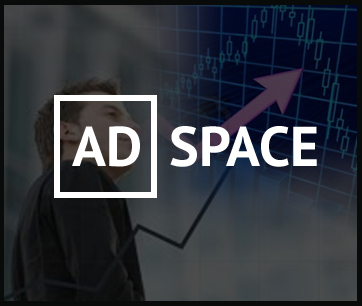 Finance conference and event organizers seeking support in the promotion of an event can contact Bill and have him publish event details on this website. Career Advice for Fledgling Stock Traders: Over the years, Bill has advised many trainee traders and supported them on their career path. He also spends a lot of time, speaking to people who are considering a career in finance and stock trading. If you are just about to leave college or are perhaps contemplating a career move into the world of stock markets, Bill would be the perfect person to obtain advice from. He will tell you exactly what the life of a stock trader is like and help you to determine whether it is a good option for you. Media Inquiries: If you would like to interview Bill for a newspaper or online article, TV or radio program, please let us know. Equally, if you would like to review his book, please do and let us know the publishing location. Bill has been the main protagonist of several programs and enjoys media work. Networking: Bill is very well known in financial and stock trading circles and continues to expand his network of contacts. Networking has become ever more important in financial careers and Bill would be glad to put you in touch with industry leaders. General Inquiries: We welcome any type of request or inquiry and enjoy communicating with people from all over the world. Bill is always focused on the needs of his clients and all other financial advice seekers. You may fill in the contact form below, please make sure to outline your query in as much detail as possible. Include your full name, profession, and location. Bill checks his emails several times a day and usually responds on the same day. Occasionally, Bill may prefer dealing with your query on a call or via live chat. In such cases, you will receive a quick email with a call scheduling request. Indicate a number of appointment options and Bill will select a time for the call. He will then call you and respond to your query. We look forward to hearing from you and responding to your information request.